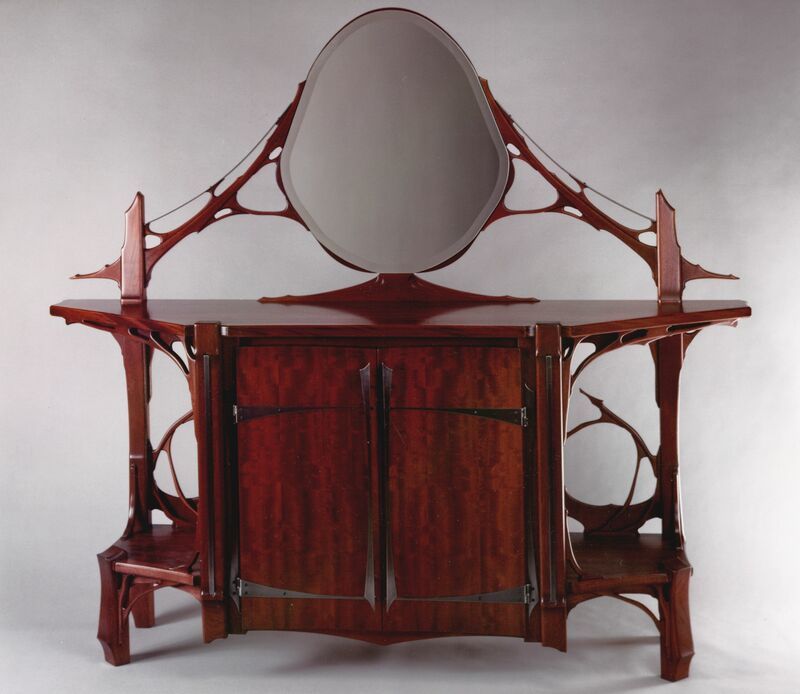 This is a Mahogany piece I designed and built to fully realize at the time my interest in the Art Nouveau furniture of the late 19th Century. My interest became a design obsession for quite a few years of exploration after studying interior design. 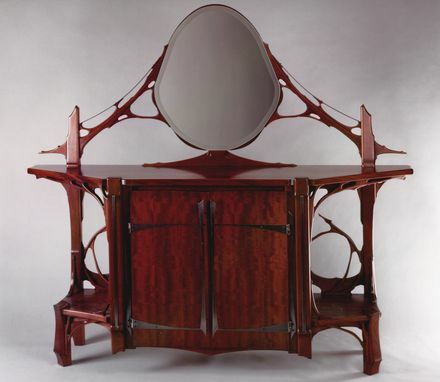 I saw a need for me to explore a contemporary approach to this difficult and extraordinary style. I will also include many other examples of my take on this. 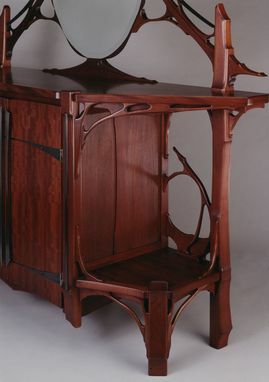 This piece is Mahogany with polished and patinaed steel hardware. All of the steel work is designed by me utilizing laser cutting and welding processes. Contact maker for more information if this is of interest. The completion date is unrealistic but is the only option I have to show at this site.